“When it comes to wellness, this is our moment,” said Supreme Court of Virginia Justice William Mims. 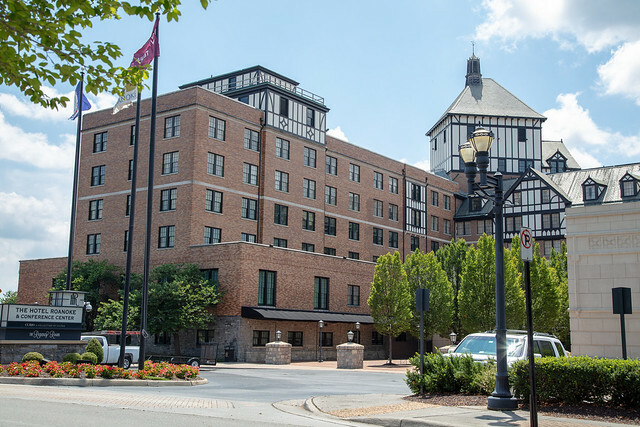 Wellness initiatives took center stage at the VSB Committee on Lawyer Discipline’s 2018 Disciplinary Conference in Roanoke July 26 and 27, where more than 150 lawyers and lay members of boards and committees gathered for training, education, and professional fellowship. 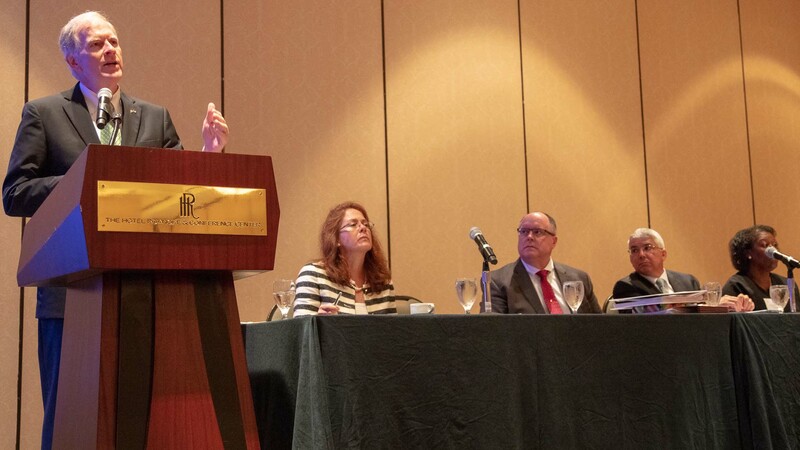 Attendees of the conference discussed finding balance between the bar’s primary mission of protecting clients of Virginia lawyers through the self-regulation of the profession with the expanding focus on lawyer well-being. “If someone needs to be removed from the pool, you remove them from the pool,” said Heath. But speakers stressed the need for pro-active self-care by lawyers and intervention by firms – with the goal of preventing lawyers from ever injuring a client in the first place. The conference serves as an annual opportunity for the far-flung Virginians participating in the disciplinary system to meet, learn, and strengthen the network of self-regulation. There was training for the new members of the 17 disciplinary district committees and Disciplinary Board, as well as continuing education for current volunteers. Participants heard about recent developments in the disciplinary system and engaged in interactive sessions intended to create a more uniform framework for lawyer sanctions. The bar’s nominating committee is always looking for new members to serve on district committees, for which there is a call for nominations in late October. Lawyers who have served on a district committee are then eligible for appointment to the Disciplinary Board, which oversees cases where suspension and disbarment are possible. Nominations for the Disciplinary Board are currently being sought. top - Supreme Court of Virginia Justice William C. Mims leads a panel on the intersection of lawyer wellness and the disciplinary system on Friday, July 27. He's joined by Assistant Bar Counsel Katie Uston, President Leonard C. Heath Jr., Lawyers Helping Lawyers Executive Director Tim Carroll, and Immediate Past President Doris Henderson Causey. 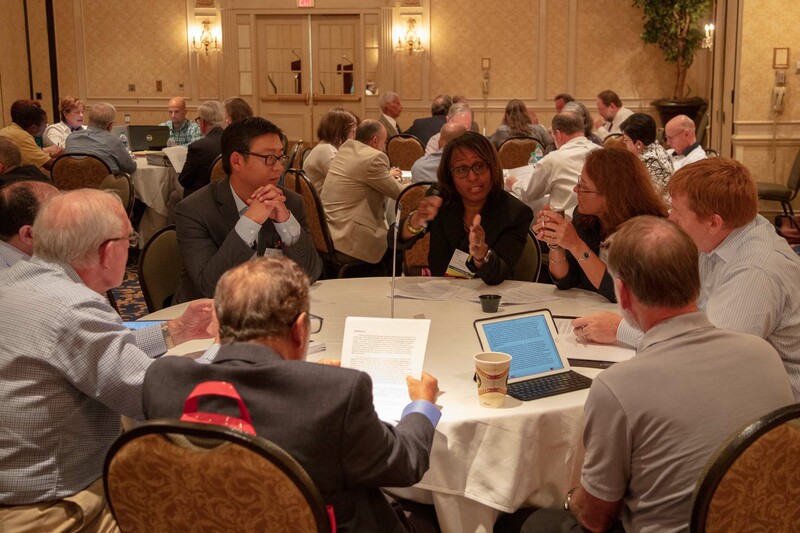 bottom - Members of the disciplinary system discuss a hypothetical sanctions scenario at a vignette session of the 2018 Disciplinary Conference in Roanoke.